Today will be my last official post for Cardabilites Design Team. I have enjoyed being a part of the team so much and all I can say is Karan Gerber designs fabulous sketches each month for us to create with. I will continue to use the sketches and share my projects on my blog as well as link up on the Cardabilites Blog. I am sharing with you my Wish You Were Here Card using sketch #104. Here us a closer look at the sketch that we are using. I made some fabulous roses using the Tim Holtz Pinecone Die and Graphic 45 Bohemian Bazaar Papers. Two Layouts that I made using the Beautiful Stories August Kit from C'est Magnifique. I hope you have enjoyed my projects that I made using the kit and check out the Beautiful Stories August Kit in the C'est Magnifique Store along with the other beautiful Add Ons and products. Hi it is Pam today sharing a big Thank You to Core'dinations for being this months sponsor with us at Craftwell. I started my card by running the Core'dinations ColorCore paper through my eBosser along with a Nesting Doily Die from LifeStyle Crafts. 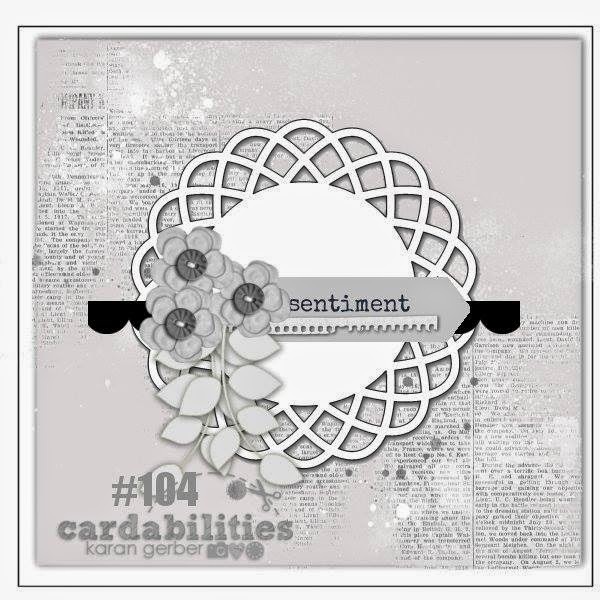 Today is my first post for C'est Magnifique using the August Kit. This kit is so romantic as you will see with my projects. 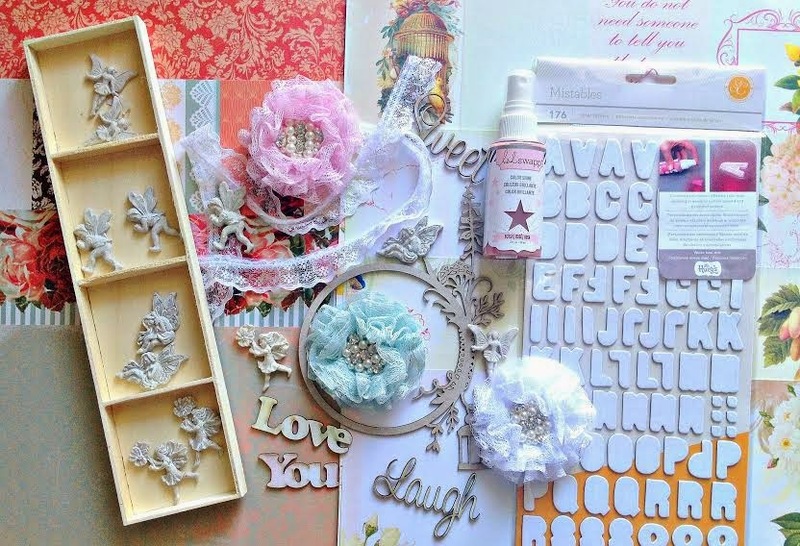 For my layout I have used the main kit, the flower add-on kit, the embellishment add-on kit. I love this layout of my sweet grand-daughter. I created my back ground using green paint, gesso and honeycomb mask from my stash prior to layering my photos to. I made a few flags from the paper and the sticker sheet. I then added clusters of flowers, wood letters and stickers from the kit . I love to make cards so I create a couple from the kit. I used a doily die I had from stash along with a piece paper from the kit. I cut the doily in half so I could use it on both cards. The journal cards from the kit was sprayed with the mist from the kit....aren't they pretty. I love to fussy cut...so on each card there is a handmade embellishment...one of the dove, the other of the roses. This has to be my favorite piece I created with the kit...an altered tray. I painted the tray and filigree from the kit with green paint from my stash. Add some of the beautiful paper and sticker border to each piece along with the beautiful flowers and resins. Start by getting your eBosser ready with the platforms and your hot air balloon die, along with your Core'dinations Nostalgic Paper Pad. Cut two of each of the balloons using your favorite papers from the paper pad. This is the amazing part...see how many of the balloons you can place on the eBosser platforms using Teresa Collins Damask Embossing Folder. After you have your hot air balloon cut and embossed, sand both sides using your sanding block. Stack the balloons and sew down the center. Cut your box out, using the eBosser and Teresa Collins Woodgrain Embossing Folder, emboss. Ink front and back of pieces and form box. Here is a closer look at the box once it was formed and decorated. 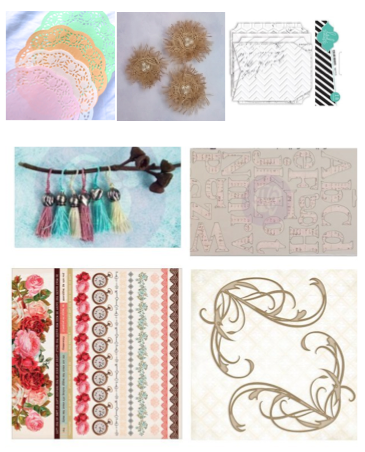 Craft Hoarders Anonymous Challenge #12 - Who's the Boss? Today is all about embossing for the challenge on the Craft Hoarders Anonymous Challenge Blog. I made my card using products from Crafters Companion. I love the background the Make A Wish Embossing Folder made using red card stock, it gave such an amazing detailed image. I stamped and colored my Jessica image from the stamp set using alcohol markers on to white card stock, layered it on to some of the red cardstock that I had left over and matching pattern paper when I was finished coloring. I stamped "Time To Celebrate" from the Jessica Stamp Set on to some yellow pattern paper and made some flags to place on my card front. Added a few flowers and a fancy satin bow to finish my card up. So I hope you show us some embossing on your project .... All you have to do is create a project that you have embossed and load into the Craft Hoarders Anonymous Challenge Blog...easy peasy. You can use dry embossing or heat embossing. You can use an embossing folder or a stencil. You can emboss with embossing paste or embossing powder. You can even create something with ultra-thick embossing enamel. You probably have some sort of embossing apparatus in your hoard. Well, every challenge should have a prize packages... Spectrum Noir and Crafter's Companion has given us this fabulous prize package as a giveaway for Challenge #12. WELL HERE IT IS!!!! Can't wait to see what you create!!!! Crafter’s Companion US brings you the products to make crafting a little bit easier, including the Spectrum Noir coloring system, the Ultimate Pro, and more ! 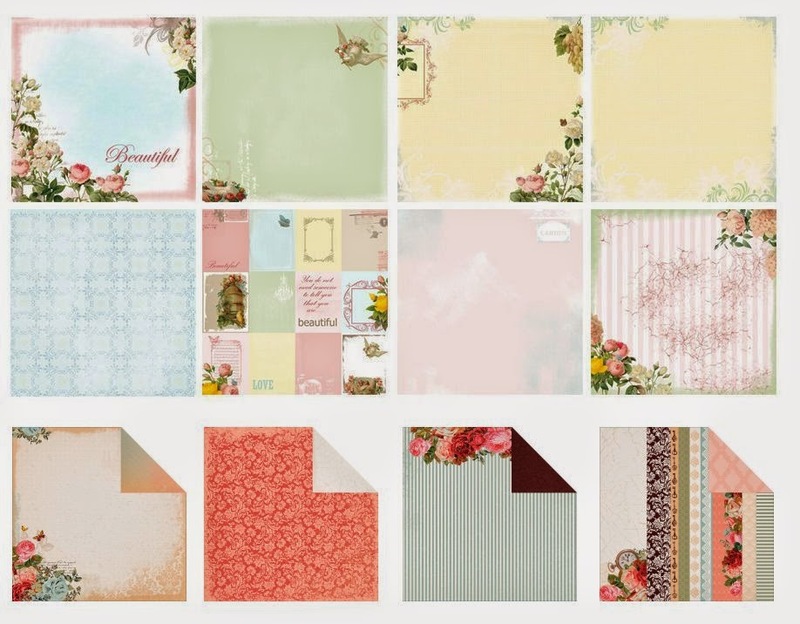 Crafter’s Companion produces a full range of tools to create cards and other paper craft projects. Their mission is to make their innovative, award-winning tools accessible to crafters around the world at fantastic prices. I love making Thank You Cards...I feel we all need to remember to send thank you cards out more often, it is always nice to receive something pretty in the mail when you want to say thanks to someone. 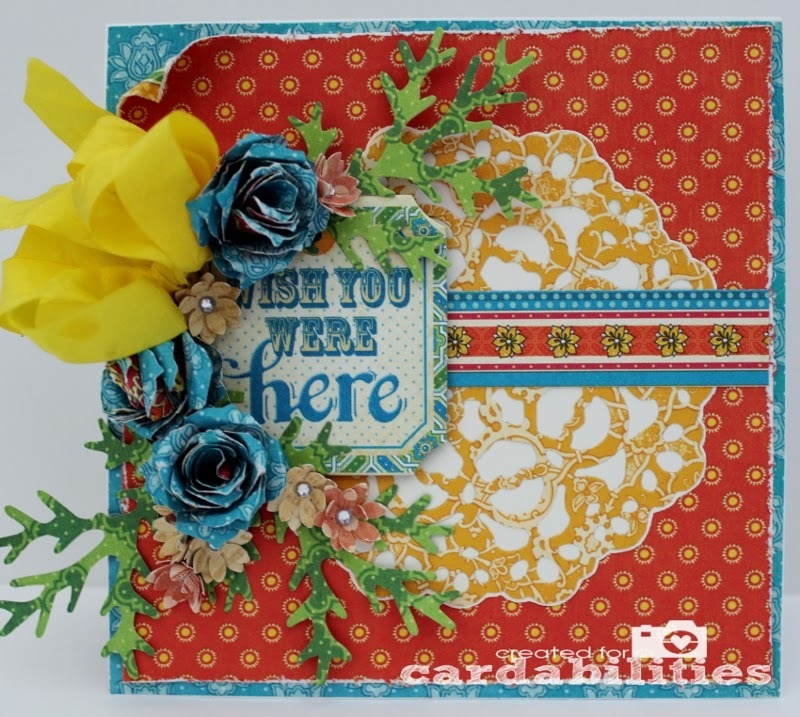 And the gorgeous Core'dinations ColorCore Nostalgia Cardstock makes it so easy to make multiples of any card especially when you are using Teresa Collins large embossing folders. And there you have it, all beautifully embossed, all at once....like I said super easy to make multiples of the thank you card. Today I am excited to be introducing the C'est Magnifique August Kit and Add On Kits that are available in the C'est Magnifique Store. 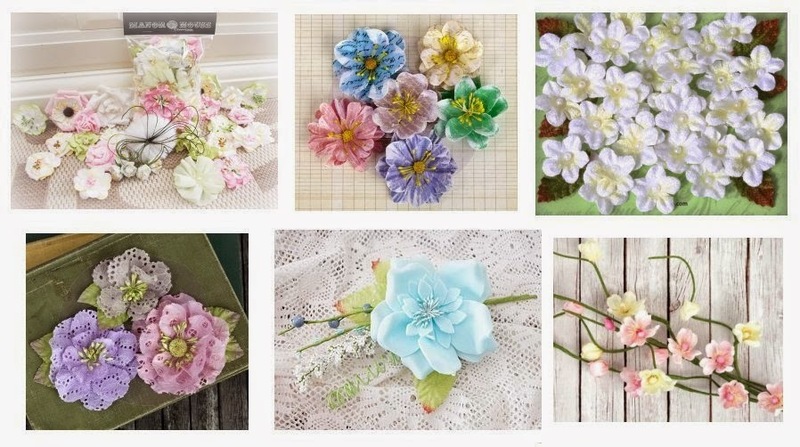 It is a beautiful collections of paper, embellishments, flowers, and mixed media...make sure to check it out and remember the whole reveal will be on July 31 along with some fabulous inspiration from the C'est Magnifique Design Team in August. 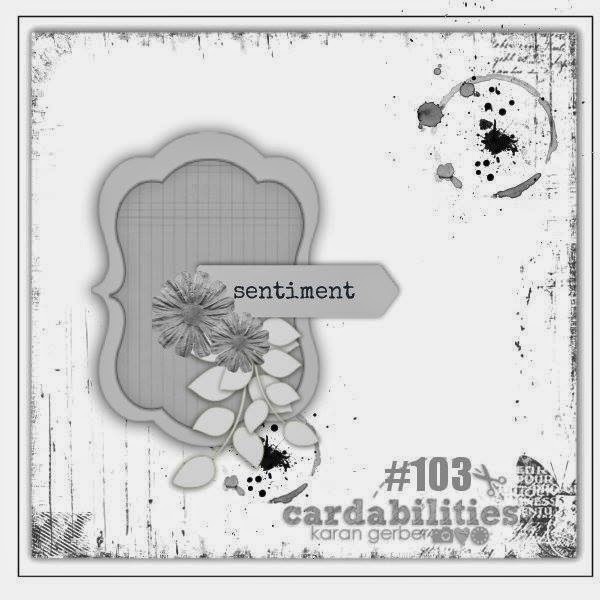 Wow, is all I can say about the fabulous Cardabilities Sketch 103 that Karan Gerber design for us this month. It is amazing!!!! I created my card using Teresa Collins Hello Life Collection along with Couture Creations dies and Prima Flowers. Here is a better look at the sketch and you can see my interpertation of it. I added a few Prima Flowers and leaves along with a few hand made rosettes and flourishes to my card. I always love adding bows and seam binding makes fabulous bows. I distressed the edge of my base papers to help give that vintage feel and did some stamping on the paper with black ink prior to adding the die cuts. The fancy label is fussy cut from one of the journal blocks that come in the collection. I love sharing with you all the dimension that you can achieve by doing a bit of layering with pop dots.